On the road after four consecutive home wins, the Utah Jazz jumped ahead early and held on for a 129-109 victory over the Clippers in Los Angeles Wednesday night. The Jazz (25-21) have now won five straight games—and seven of their last eight—and currently sit in eighth place in the Western Conference standings, half a game in front of the Los Angeles Lakers. "We've been playing pretty good defense but haven't shot the ball as well as we've wanted to," Jazz head coach Quin Snyder said after the game. "Tonight we shot it really well. Guys were moving the ball, sharing it and finding the open man. It was a good win." Donovan Mitchell continued his run of excellent—and efficient—play, finishing with 28 points on 10-for-22 shooting. It was Mitchell's seventh straight game with at least 26 points, and he added six assists and three steals in 35 minutes. 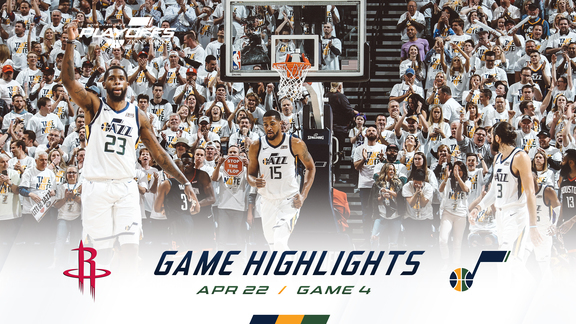 Mitchell wasn't Utah's only standout, though, as Rudy Gobert put up a monster line of 23 points, 22 rebounds, one steal and four blocks. It was Gobert's 37th double-double of the season, and it marked the first time a Jazz player has grabbed 20 rebounds in consecutive games since Karl Malone in 1988. 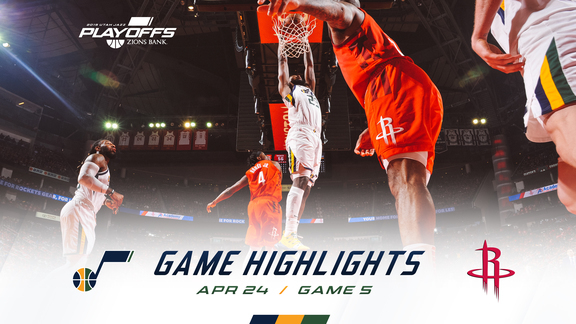 Jae Crowder (23 points) and Kyle Korver (19 points) gave the Jazz a lift off the bench, while Derrick Favors (11 points, 10 rebounds) and Royce O'Neale (10 points, seven rebounds) also scored in double figures in the win. The Jazz used a 13-2 first-quarter run to take a double-digit lead—and they never trailed again. The Clippers fought back to tie it up in the second quarter, but Utah took a seven-point lead by halftime and increased the margin to 15 within the first six minutes of the third quarter. Utah crusised from there, leading by as many as 24 before securing the blowout victory. Lou Williams scored a team-high 23 points in the loss for the Clippers (24-20), who have lost four straight games. Gobert, Mitchell and Korver had great games, but the Jazz desperately needed Crowder to bust out of his extended shooting slump. And bust out he did, finishing with 23 points on 8-for-15 shooting, including 5-for-11 from 3-point range. Crowder, who finished with a game-high net rating of +30 in 29 minutes against the Clippers, had shot 11-for-58 from the field (and 4-for-33 from 3-point range) over his last six games. Utah held LA's two leading scorers—Tobias Harris (17) and Danilo Gallinari (nine)—to only 26 points, 14 below their combined season average of 40.5. 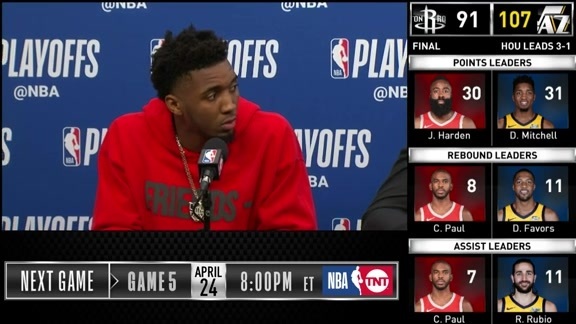 The two combined to shoot 9-for-28 from the field, and Harris scored nine of his points in the fourth quarter when the game was already out of hand. The Clippers entered the game ranked first in the NBA in free throws made per game (23.0), but it was the Jazz who lived at the line on Wednesday night. Utah shot 30-for-37 (81.1 percent) from the free-throw line, while the Clippers shot only 9-for-14 (64.3 percent). The Jazz committed only 15 fouls. The Jazz have now won seven of their last eight games, and over that stretch they have an average point differential of +10.5. They've won 12 games this season by at least 15 points. "The standings, to me, at this point, week to week and day to day it changes. There's just so many teams in the thick of things. Our goal, just digging in after the first month, was to get even more focused defensively. We've just tried to get better. Defense is the thing that we can count on. Hopefully we win some games in the process." Utah is now 13-3 this season when Gobert blocks at least three shots. ... Crowder (5-for-11) and Korver (4-for-5) combined to make nine of Utah's 11 3-pointers. ... Joe Ingles finished with six points, eight assists and two steals for the Jazz. ... Utah is now 8-7 on the road against Western Conference teams. ... LA coach Doc Rivers picked up a technical foul early in the fourth quarter. ... The Jazz shot 51.2 percent from the field. ... Utah dished out 27 assists and only turned the ball over 13 times. ... Avery Bradley scored 15 points and shot 3-for-4 from 3-point range for the Clippers. The Jazz will return home to begin a four-game homestand on Friday night against the Cleveland Cavaliers. Tipoff is set for 7pm MT.